We’re near the end of week two of the new collection service and overall, it’s going well. However, I know from the questions we’re getting on social media and from the calls to our Customer Service Centre, that some people are not sure which containers to put out each week. I realise it’s not always easy to keep track of what goes out and it will take a few weeks to get into the new Blue/Green Week pattern. We’ve all been there…bin day dawns and you take a sneaky glance down the street to see what everyone else is putting out this week and follow suit. The best advice I can give you is to keep your Recycling Calendar handy – maybe use magnets to keep it on the front of your fridge like me, or inside a regularly used kitchen cupboard or on the wall by your recycling containers. We know there has been some confusion over the recycling calendars. All residents had a temporary 3-month calendar in February with their Council Tax bill, which covered until the end of June and then we issued a new 10-month calendar which started from 20 June and some people’s Blue and Green Weeks had changed. We realise it‘s caused some residents to put the wrong containers out and we apologise for this. Please recycle your 3-month calendar and use your new Recycling Calendar from now on. If you’re ever need to check which week you’re on and your calendar is not handy, you can use our quick and easy look-up online. Just go to www.colchester.gov.uk/recycling and click ‘Check’, use your postcode to see if you’re on a Blue or Green Week. It also reminds you what goes out on those weeks and your collection day. The best way I’ve found to remember it is that all your clear bags go out on the same week, so that’s paper/cardboard, plastics and textiles (all in separate clear bags) alongside your garden waste – these go on a Green Week. That leaves your black bags/bin and box or boxes that contain cans and glass – these go out on a Blue Week. You can find a helpful list of what you can and can’t recycle on our website here. This reminds me of a really interesting question from TJ last week, who asked if they could put all their recycling in one container and I thought the answer might help everyone understand why we collect our recycling in separate containers and bags. The answer is about how the recycling processing plants grade the materials collected. By collecting our recycling in separate containers, it is classed as ‘clean recycling’. This means it’s a higher quality product than when recycling is mixed in one container or bin. We sell our ‘clean’ recycling materials to a processing plant, which last year gave us an income of £260,000. Councils that collect mixed recycling in one wheelie bin have to pay a licensed waste management company an amount (£) per tonne to sort their recycling before it moves onto the recycling markets. It’s no secret that central government funding is being cut for local councils, and the income we get by selling our recycling helps us to support and continue to delivery our core frontline services. If you have any questions, you can find our Frequently Asked Questions or send a comment in and I’ll reply. Try coming down the street where we live to collect it! If you haven’t already, please report your missed collection here https://beta.colchester.gov.uk/waste-and-recycling-spa/?action=Report Once reported, please allow up to 72 hours for the missed collection to be collected. Thank you for the explanation on what happens to our ‘clean’ recycling. Just a thought…why not publish on the Council’s website a dashboard with updates on volumes of waste collected/recycled/outcomes (rev) etc. Residents may be interested to know and it may create a sense of community pride to see the outcome of our collective effort of getting behind the waste strategy. Aimed I hope at not just reducing cost but preventing waste going into our local landfills. I’m glad you are enjoying the blog and thank you for the suggestion. I’ll have a chat to the Recycling Team to see if this is possible to do in the future. We monitor the tonnage of recycling collected and plan to do some awareness of these figures through this blog and on social media to encourage more people to recycle. So you should see some interesting stats in the coming weeks. Just get them to turn up please…how I miss just having an ordinary REGULAR collection. Sorry to hear this. 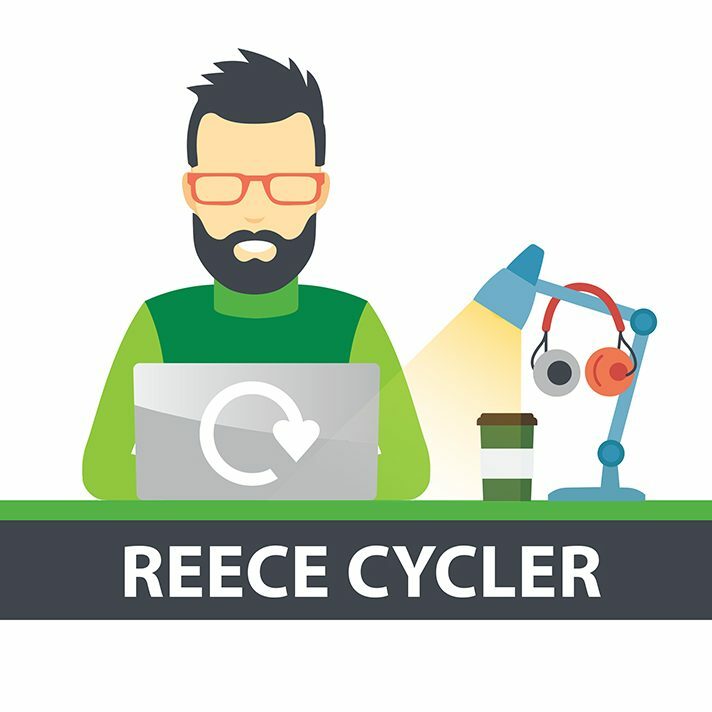 If you have any missed collections please report them online here https://beta.colchester.gov.uk/waste-and-recycling-spa/?action=Report. and one more to add: tetra packs…. they have a recyclable label, but are they aluminium lined? Can I suggest that you put a printable version of the ‘what is included in what’ on your website to download. Only think I could find was audio tracks and braille. Had to make screen shot of each page and print off images…. Council needs to make this recycling education/learning process much easier. Just spent nearly an hour to figure out how to recycle a shop’s worth of packaging… I doubt people have the time and nerve to do this. How aber a flyer to every household that contains a little more information about What’s what and the purpose of this black sack collection reduction. our local media is just given the council a hard time over messing the collection up instead of seeing the chance to educate people to recycle more. But then I feel there should be more tangible education coming from CBC. Yes, there are so many different plastic items and types of plastic that it can seem confusing. There are a couple of handy pages on our website that list all the items that can be recycled in your different collections. Green Week is here https://beta.colchester.gov.uk/info/cbc-article/?catid=putting-your-rubbish-out&id=KA-01046 and Blue Week here https://beta.colchester.gov.uk/info/cbc-article/?catid=putting-your-rubbish-out&id=KA-01029. You’ll see lots of plastic film can be recycled so please include in your clear bag. Kitchen roll tubes can also be recycled though the sheets of kitchen roll itself cannot. Your question on fruit nets and labels is a good one. I’ve checked this out and yes, these too can be recycled. We’re going to get this added in to the ‘yes’ list online so other residents know too. Tetra Packs can be recycled but as they comprise lots of materials, this is through bring banks around the Borough, where you can drop them off. You can look up your nearest in the Check section on our website. To coincide with introducing the new collections every home in the Borough was posted a copy of their Recycling Calendar which covers lots of what can and cannot be recycled. The Calendar also signposted residents online for more a more detailed list, or a replacement copy of their Recycling Calendar to print https://beta.colchester.gov.uk/new-recycling-calendar/. We know that many residents already look to online, and are doing so more and more, to find out about our services, including our website, this blog, e-newsletters, our short films and social media messages. These all compliment the work that our Community Zone team officers doing out and about in the local community, helping explain the importance of recycling to residents and talking to school groups. Having given you these web links I do need to let you know that our Recycling & Rubbish webpages are currently unavailable & we’re working to resolve the problem as soon as possible, apologies for any inconvenience but hopefully you can take a look at these links next week. I hope this has helped clarify these points and you’ll be able to keep recycling even more.